Bristol-based instant noodle brand, Kabuto Noodles, has secured a new contract which will see the brand’s products in more than 120 supermarkets across France. The business, which was launched in 2010, creates a range of premium instant noodles inspired by classic Thai, Chinese and Japanese flavours. Kabuto was born after the firm’s founder, Crispin Busk, saw a gap in the market for high-quality instant noodles made using only natural ingredients, and without additives, flavour enhancers or preservatives. The new deal with grocery chain, Franprix, has been a year in the making after the business attended global food and beverage trade show, Gulfood, in 2017. French buyers tasted the instant noodles at the show, and the business has now completed its first order, sending 2,600 instant noodles to the supermarket group as part of a contract that will see them provide 65,000 pots to Franprix over the next year. 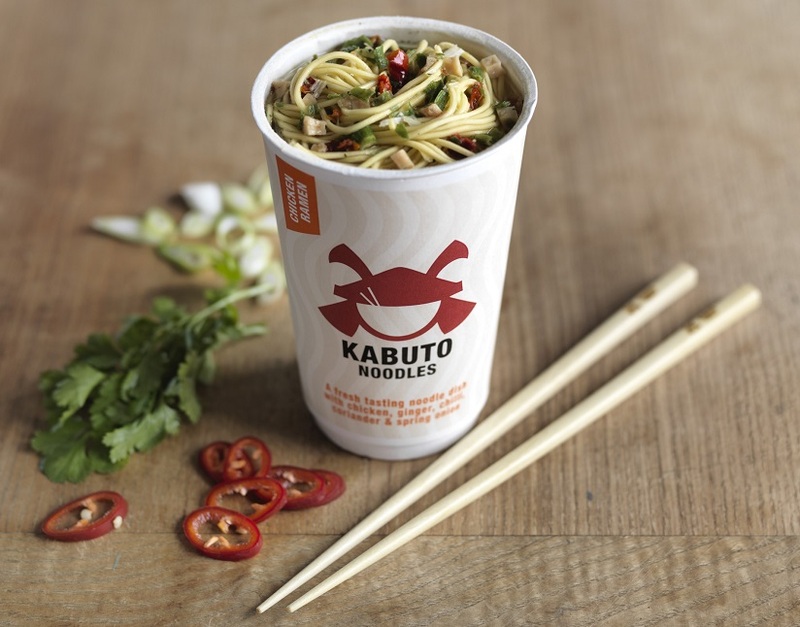 Kabuto Noodles has seen significant success in the UK and sells its range of noodles in major supermarkets and independent shops. Its products are also exported to more than 10 countries, including Russia, Malaysia and Iceland. Exports currently account for 5% of the brand’s £4M turnover. Kabuto Noodles first started its export journey in 2014 and has been working with advisers from the Department for Environment, Food & Rural Affairs (Defra) and Department for International Trade (DIT) to help identify potential overseas markets and insight on international competitors. As part of the Food is GREAT campaign, Defra and DIT are supporting many businesses to take the leap and sell their food and drink products abroad. The campaign is a cross-departmental initiative to showcase the calibre of UK food and drink overseas and help firms build new exporting relationships. “Exporting is something that happened organically for our business with our first international buyers approaching us directly. We’re very lucky that our products have global appeal. “We've been working with the team at DIT since 2012 and in that time they have provided us with in-depth market research and competitor analysis, which helped create our international pricing. Of course, exporting isn’t without its challenges. We first met buyers from Franprix a year ago, which shows how far in advance you need to start planning for overseas sales. Ahead of the deal, we had to translate all our labels in French, which is a costly and time-consuming job. “One of the things we found tricky in the beginning was the disparity between flavour preferences in different countries. For instance, our chicken flavour noodles are our top sellers in the UK, but this didn’t sell well in France and customers there much prefer our miso and beef variations. “Kabuto Noodles is a great example of a local business that’s harnessing the benefits exporting can bring. We know firms that trade internationally are more successful, profitable and resilient than their non-exporting counterparts. “British-made food and drink has a global reputation for its high quality, and our food trends are being followed by producers and consumer across the world, which gives a clear advantage for ambitious brands like Kabuto Noodles who are leading the way overseas. Join the Great British Food Programme today! If you're a food and drink company based in the South West of England and are looking to grow your business sign up to our dedicated programme today. List your company on the online directory and start meeting international buyers at 'Meet the Buyer' events taking place throughout the year.